The Godparents of the "Green Machine"
The Tiwi Islander born in 1938 and given the tribal name Amparralamtua, is one of the most famous figures in the history of Territory sport. Better known by his "Anglo" name of David Kantilla he bacame a sporting legend in his own time in both the NT and South Australia when he played league football with South Adelaide during the 1960s. His sporting success almost defies belief given the cultural leap he had to make in order to play. Each year, for seven years, David would leave his tribal lifestyle on Bathurst Island and travel to Adelaide for the winter months of football. David had his Australian Rules grounding as a barefooted youngster kicking a ball around at the Catholic mission on Bathurst. By the time he reached adulthood he stood 6 feet 4 inches tall, and possessed an amazing leap. David played two seasons with St Marys in the NTFL before he was recruited in 1961 to play for South Adelaide, a struggling club desperately short of big men. His first game against Glenelg at Kensington oval created a sensation. Tall, thin and jet black he was like something never before seen on in Adelaide football, and when he got cracking it was sight to behold. David kicked six goals in that first match, mainly from spectacular marks near the goalsquare. His opponent that day allegedly said afterwards: "Everytime he went for a mark it was like the sun had set." In his first two seasons David won the Knuckey Cup for South Adelaide’s best and fairest player. In 1961 he was also the club's leading goalkicker. At the end of his last season in 1967, David had played 113 games and was the first Aboriginal player to reach the 100 game milestone in SA league football. David was a key player in South Adelaide’s 1964:Premiership win under coach Neil Kerley. The club had finished bottom in 1963. In 1964 he also played state football for the first time against Victoria at the Adelaide Oval in front of a crowd of 45 000 people. Playing state football also gave rise to David's famous nickname “Soapy”. After state training one night a newspaper photographer captured him lathered with soap in a steam bath. The photo ran the next morning and the name soapy stuck thereafter. David played state football again in 1965, but in Hobart for the game against Tasmania he missed selection because it was so cold the selectors thought he wouldn't cope. Each year, at the end of the season, David returned home to the Top End, spending time on Bathurst Island and in Darwin where he continued to play for St Marys. David played in 4 premierships 1958/59,1959/60,1965/66 and 1966/67. In the 1968/69 season David took over from Benny Lewfatt as coach, and led Saints to the grand final. David was killed in a car accident on Bathurst Island at the age of 37. 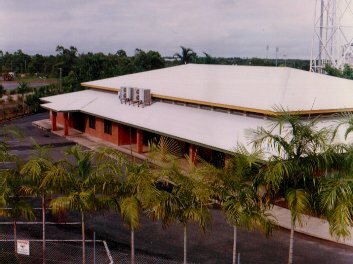 The restaurant in the new NTFL headquarters at Mararra is named "Kantilla’s" in his honour. 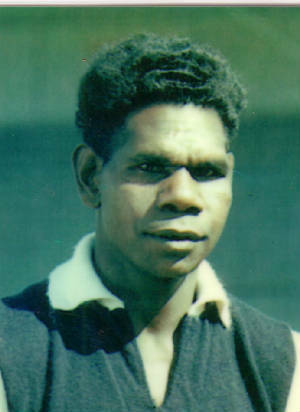 David is remembered as a great Aboriginal sportsman who always displayed the natural sportsmanship of the Tiwi people. He left behind many friends and admirers both in the Territory and interstate. I'M A COG IN THE "GREEN MACHINE"